American Stock trader, Entrepreneur and Penny Stock Millionaire Timothy Sykes turned his $12,000 of Bar Mitzvah money into millions while still attending University. Timothy joined me on a chat this morning to share his advice on how to achieve success in penny stock trading. Timothy Sykes coaches thousands of people around the world with his online platform, dvd’s and webinars on how they to can become wealthy through Penny Stock trading. He has created a couple of millionaires so far and is on a mission to create hundreds to thousands more in his lifetime. Timothy’s advice is not to be missed so read on to find out how you can become a penny stock rock star! Joel – Now I first heard about you a few years ago when I was scouring the net, looking for ways to make money online and I noticed an article about you and John Chow. Timothy Sykes – Yeah John & I go way back, he’s great. Joel – I remember there was an article about you both and how you where creating major success through new routes and it sparked my interest when I heard that you made such a crazy amount, from 12k of Bar Mitzvah money to a couple million dollars in such a small amount of time. So touching base with you now and seeing that you have graduated to that next level where you are teaching others how to do this as well is something truly commendable and so important. Timothy Sykes – Thank you, I was actually on a TV show called Wall Street Warriors back in 2007 which aired in over 20 different countries and I started getting 20, 30, 50, 100 new e-mails a day with people saying “hey, I want to learn how to do what you do”, and that was pretty amazing. So at the time I was only teaching a handful of rich snobs and I thought, “you know what, screw these guys” I want to teach the average person and that was a lot more interesting to me and there are a lot more normal, everyday people out there and what I do really works well for people with just a few thousand dollars rather than a few million dollars so I started teaching and it has been the most fulfilling activity of my life. Joel – Wow, that must be a great feeling. So what would be the #1 question that you receive from your students during your courses? Timothy Sykes – “What broker should I use and what stocks should I trade.” So basically I am giving them the tools because there are 100’s of brokers out there and this way it helps them find the best brokers and the best stocks because there are 1000’s of stock in play every day. So teach trading rules that I’ve learned on my own over 15 years of trading, and a lot of people just don’t have the rules, they want to make money, but it’s very scary for them. It’s no different than if you are driving without any rules, if you don’t pay attention to stop signs, if you don’t pay attention to lights you’ll crash your car. The same holds true with the stock market, if you don’t know the rules, you will wreck your account. So my responsibility is to give my students structure. Joel – So that being said, what would you say is your process of picking the stocks? Is it an educated decision that you make solely from experience? Timothy Sykes – Yeah, there is no 100% formula for making money, I’m right about 73 – 74% of the time. So what I try and do is buy small stocks that are trading under $5 a share because those can go up the quickest, rather than stocks like Google or Facebook, Bank of America, GE, these well-known companies, because they just don’t move that much. So I buy into small companies that ideally have really good news like they win these contracts. For example, I bought this company called Plug Power at $1.19 a share, they are a small company, but they won this contract where at first it was Wal-Mart and then FedEx later to use their fuel cells for alternative energy. So you have this small company winning contracts with these multi billion dollar companies and you know what, this could really run, and today while we are doing this interview the stock is at $7.45, so it’s up nearly 700%. I sold far too soon, I took my profits and made a few thousand dollars, but that is the type of stock everyone should focus on. Joel – So you obviously set a goal and say, when it gets to a certain number I’m pulling out? Timothy Sykes – Yeah, and I have patience problems and you know what, I’m not even the greatest trader, I just have rules and took several thousands of dollars in profits within a few hours on that stock and it probably would have been a few hundred thousand dollars if I had held for a few more days but you can’t really look back. There are a lot of stocks that do what I want, there are a lot of stocks that don’t do what i want so I cut my losses quickly and I just try to grow my account steadily, and in the first few months of 2014 I am up 90% which is a good year for me but some people would die to make 90% in a year or 2 years or 3 years, let alone 3 months. Joel – That is such a massive achievement, it’s something that is not so easy for most so you must be really proud of yourself for that. Timothy Sykes – Thank you, it’s not just about me though, it’s about my students and in the past 2 months we have had two students who have crossed over a million dollars in trading profits so I’m far prouder of them than my own efforts. Joel – Yeah and what’s great about that for you is that it shows what you are doing, is working. So let’s talk about what hasn’t worked. What has been your biggest mistake in this business? Timothy Sykes – Before I really formulated and refined these rules which I now trade by, I would invest in hunches, I invested in my best friends dads ticketing company. They basically invented print at home ticketing nearly a decade ago, and I was right about the technology you know everyone prints airline tickets nowadays at home and stuff like that but I was wrong about the company. I didn’t realise at the time that technology isn’t necessarily the company itself. So you might be right about the technology but wrong about a specific company that provides that technology. That’s a lesson that I learned the hard way, I lost half a million dollars back then. We where talking about it over Thanksgiving dinner, and i just believe that it’s not good to invest with your friends because it can cloud your judgement. Joel – Yeah I know that to be true from my experience in investing when I took a tip from someone and it tinned days later and lost nearly everything. 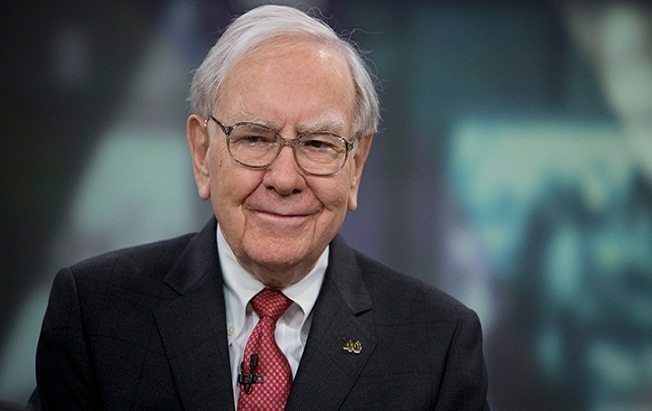 I now know, looking at someone like Warren Buffett who stresses on investors to make educated decisions and study the company inside-out before you decide. Warren would even sit there watching a company for a decade and won’t commit unless he knows the industry and is passionate about that particular field before he lay’s out his investment. Timothy Sykes – Yeah exactly, you can’t just take tips. You really need to do a lot of digging when your money is on the table. It’s like “How much research do you do when you buy a car?” People spend hours upon hours comparing the Kelley Blue Book value and all sorts of things but when it’s like an investment and it’s in the stock market it’s kind of fun it’s like gambling, even at the casino you’re plunking down money and it’s almost an automatic reaction. I just want to teach people that it is important to be meticulous. Joel – That’s great advice. So can you tell me, why did you decide to go left? Why not go right where everybody else was heading? What where you seeing that nobody else really was? Because I know around the time when you got started with all of this there where some people dabbling in penny stocks but everybody else was going for the gold, silver and the big stocks and shares. What do you think that you saw that the others weren’t really seeing? Timothy Sykes – Most people who trade penny stocks, they try to find the next Microsoft and they are basically investing in these stocks at $1 like Plug Power and expecting them to go up by $100’s but usually they don’t go up that much. So when I sold it for a few thousand dollars in profits that’s just my process, I do that again, and again and again. Instead of going for home runs and instead of trying to win lotto ticket type odds, I try to take the high percentage odds when the contract is first announced and the stock usually runs for 20 – 20% for the first few days so the analogy would be that I go for singles and doubles rather than home runs and I think more people need to do that. Joel – You know, the word penny stocks seems to be blowing up as well, not just from you but since the movie The Wolf of Wall Street came out with Jordan Belfort. I actually remember a news channel interviewing you and Jordan to discuss the topic of greed within investing. What is your view on the subject of greed? Timothy Sykes – Yeah, look there are a lot of opinions on greed, Jordan Belfort is definitely an expert on it with his whole journey. For me I don’t think it is just about the money and that it’s about the process and this is why I think a lot of people who win the lotto receive all of this money due to luck and they get rich very quickly but it’s wealth without meaning, so it’s not as fulfilling and you read about a lot of these lotto winners and a majority of them have problems galore versus self-made millionaires who are people like me and Jordan at the time before people realised he made his money scamming people. If you make your money honestly and ideally create a product that helps other people, it’s so fulfilling and gratifying. So every dollar that I make, that’s nice but I’m already a Multi-Millionaire I don’t need that much more. You can’t spend that much money in this lifetime. Most people don’t realise, you don’t need a billion dollars. Several millions of dollars in a lifetime is more than enough. Once you start going on a path where you make money for yourself and you create a product or a service that helps others it’s a double threat, it’s a win-win. Joel – Yes 100%. What would you say is your “Why”? What’s the biggest thing that is driving you right now and where are you heading? Timothy Sykes – Well right now I have created two millionaires from scratch and my goal is to create thousands of millionaires. When I first started teaching people where like “Ahhh, penny stocks!, You’re flashing around your Lamborghini and your Mansion and your Watches“, and they just didn’t think that I was real, because a lot of Internet Marketers promote the lifestyle and they can’t back it up. Now that I have created 2 millionaires the question has changed from “How can you create a millionaire from scratch” to “How many millionaires can you create“. So I’m working hard creating video lessons, webinars, seminars, new websites, new tools and all in the efforts of trying to get my students earning and learning more. We’ll see how I do over the next few years or even decades, but I’m not going to stop because there needs to be more transparency in finance, especially with the kinds of stocks I trade, penny stocks. As long as I keep educating and keep showing all my trades transparently, a lot of people can say “Oh, you can make this much in 3 months, I don’t believe a word of it”, well guess what, I show every single trade, my top students show every single trade, win or lose, yesterday I lost $14,000, today (in 45 minutes) I am up about $8,000. So by being transparent and honest, I am excited about how that changes industries. Joel – Yes that’s it, and it shows through your work. I can tell you are a genuine guy and people need someone like that to trust in this kind of industry. You are a leader to them and they see your transparency from the get go. It sounds like you are doing all the right things. Timothy Sykes – Thank you. You know, my first millionaire actually doubted me to begin with. He wrote a blog post called “Tim Sykes Is Full Of BS“. We went back and forth in the comments on his blog and he said “Okay, I’ll give you a try”, and now he’s up 1.2 Million in 5 years. So if anybody doubts me, it only makes it better afterwords because it’s like “okay, I didn’t believe you at first, but now you have proven me wrong”. So I welcome the doubt, I welcome the hate. I encourage the haters. Joel – Yes that’s awesome, because that makes for an even better story to tell. It just shows that the proof is in the pudding. Timothy Sykes – Yeah exactly and we are now both good friends and he helps teach my other students and are in this kind of Jesus business model. Now I have like cardinals and priests who help me spread the gospel and that’s very useful because I work 16 – 18 hours a day, ask my girlfriend, she’s right here, and she doesn’t like it. Joel – Wow, where do you get all your energy from? Timothy Sykes – Haha, I don’t believe in taking drugs, I don’t believe in coffee. I don’t know really, I guess I have this hunger inside of me and when people don’t understand what you can do with penny stocks or whatever strategy you have, no matter what your profession is, when people don’t realise their potential it really p!sses me off! I go without sleep sometimes and don’t eat, I just do what I can to help teach. Joel – Haha, you’re a machine man, it sounds like you have the fire in your belly and you’re riding the wave, that’s how you do it. Timothy Sykes – Haha, yeah that describes it. Joel – So how do we find you and your material online? Timothy Sykes – So everything I do is on TimothySykes.com. Just go to my website, there are tons of free video lessons. I even give my best-selling book “An American Hedge Fund” there is a link in there for a free copy. Some real gems in there! Would agree 100% on having a clear process and not allowing your emotions to influence your trades. It’s about manipulating the situation so that the odds of you achieving your end goal (making profit) are more probable than not, and going for smaller but more frequent profits on the back of meticulous research is definitely the way to achieve that. I always wanted to get into investing in stocks. I researched a lot since two years and finally penny stocks is what I am definitely investing in. Thanks Joel! Tim is the best. I am doing very well because of him. appreciated the “no fluff” read. No silver bullet, no “magic carpet,” just get in a position to learn and do. Action – thoughtful action – is a challenge. Good drop @addicted2success (Joel Brown)! Great post, I learned a lot trading penny stocks from Timothy Sykes. The comments here look to be paid for – I am a financial professional and I cannot believe Joel sold out like this. Trading “penny stocks” is pure speculation; the risk is off the charts, you can make a lot, but you can lose a lot. Tracing “patterns” and executing trades based on historical data has been proven to not work (I can find you a citation if you like). In addition, he states the stocks he trades are liquid with millions of trades a day; this means that analysts and algorithms are paying attention to these companies, and any “news” such as new contracts cannot be used as a source of profit because you will always act too late. The institutional side will have taken all of that profit within 2-3 minutes. I hope you guys realize this Tim guy is taking you all for fools; sadly, he is one of many. Be quiet Max, grown folks are trying to make money here! While I’m not a student of Timothy Sykes, nor am I a penny stock trader (I trade options), I believe him to be one of the more transparent traders out there.